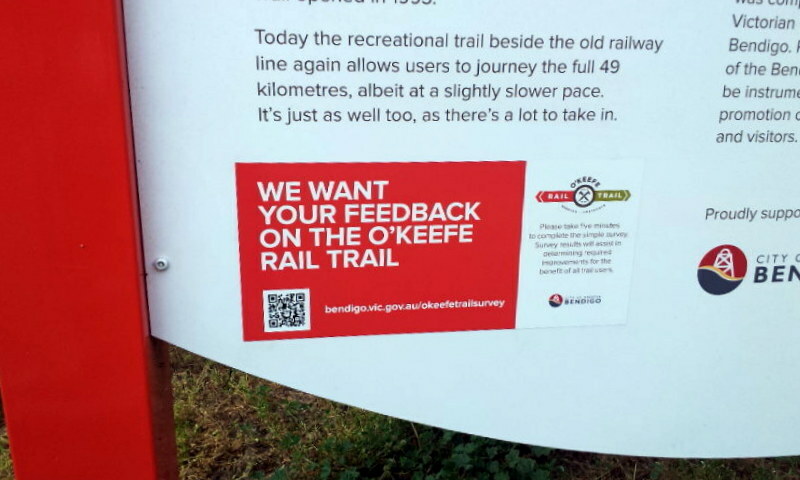 O’Keefe Rail Trail – What did you think? 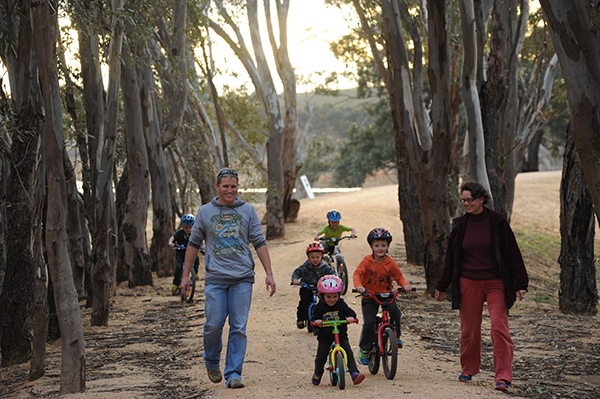 The City of Greater Bendigo Council and the Friends of the Bendigo-Kilmore Rail Trail are keen to gain valuable feedback from users of the O’Keefe Rail Trail. A survey has been set up seeking feedback from those who have recently used the whole or sections of this trail. Were you a visitor to Axedale, Bendigo or Heathcote specifically to experience the O’Keefe trail over one or more days? 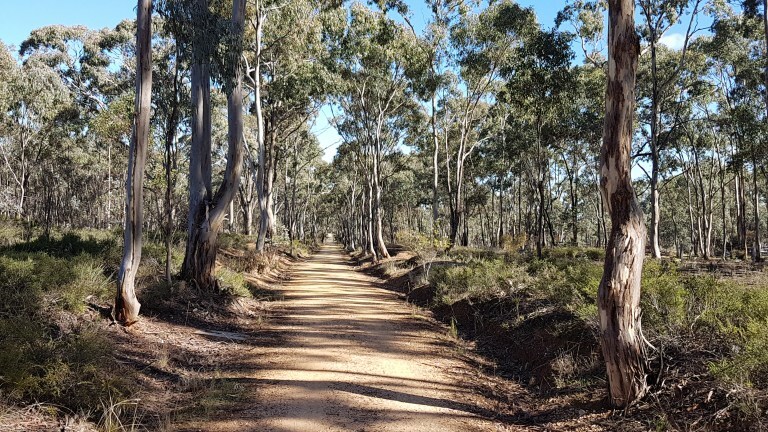 While also enjoying the trail, did you visit other attractions in the area, such as Heathcote wineries, Bendigo wineries, cafe-restaurants-hotels like the Axedale Tavern, rode on a ‘Talking Tram‘, or shared time with family and friends? You may live in the local community, and use the trail on a regular basis, so your input will also be welcomed. Your feedback will assist the trail’s improvements and ongoing trail development, as well as other local linked off-road trails and facilities. All such information will also help the marketing of outdoor recreation and other related attractions. 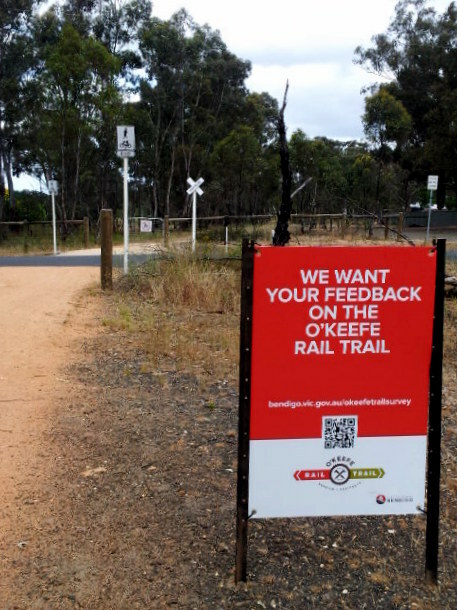 There are feedback signs located at various locations along the trail, which include a QR code (reader app required) and stating a html link. 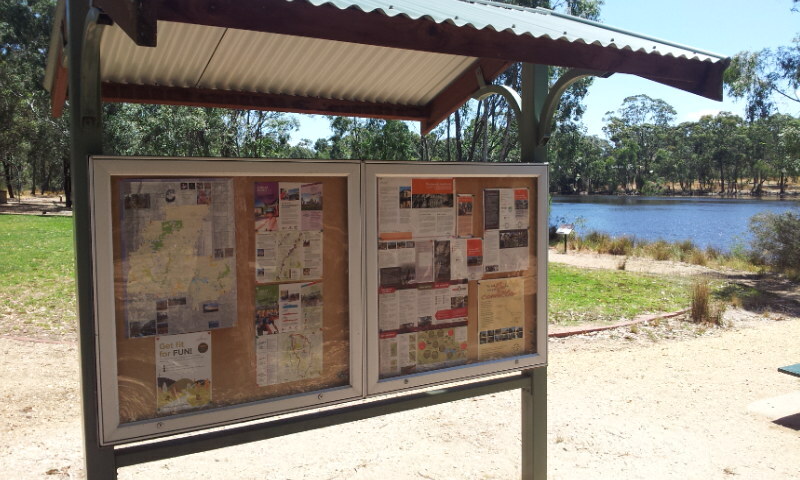 Or the survey can be accessed via other web pages such as Bendigo Tourism, Heathcote Tourism, City of Greater Bendigo, Rail Trails Australia, and the Friends of the Bendigo Kilmore Rail Trail. 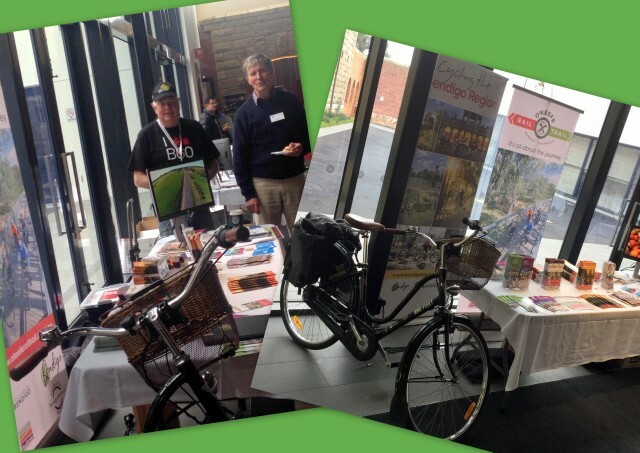 Would you like to know more about the O’Keefe Rail Trail, for planning a ride or walk, wanting to share information about this trail, seeking the latest news from the Friends of the Bendigo-Kilmore Rail Trail? The O’Keefe Rail Trail TV is now a feed on YouTube, with the first posting of this episode 1. This episode touches on some of the brief history relating to this rail trail, plus highlighting community involvement through the Friends group with the upgrade of this trail, are topics of Episode 1.